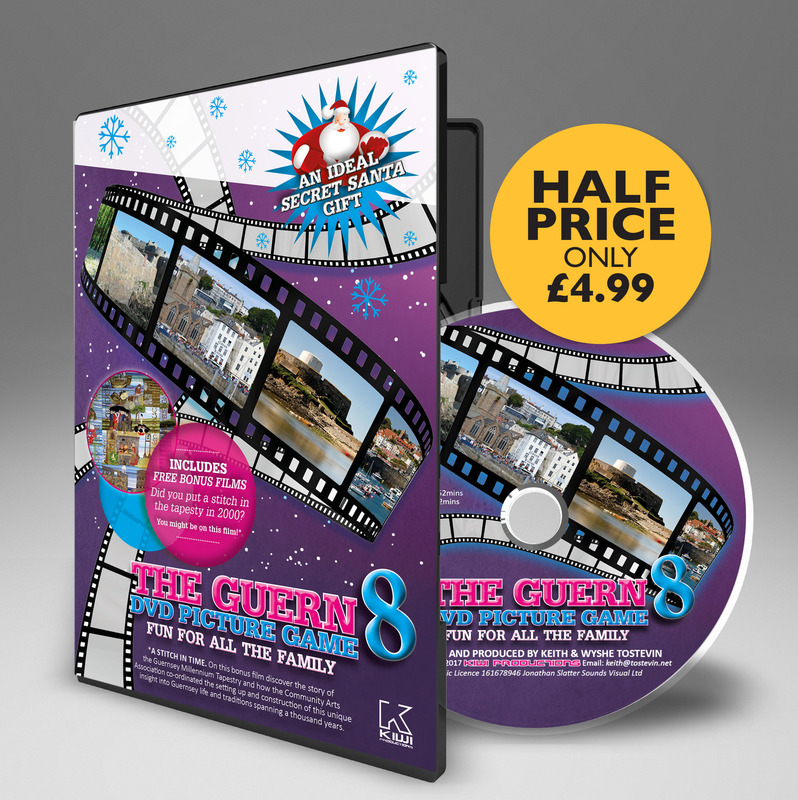 The invasion of Jersey by the French in 1781 and subsequent “Battle of Jersey”, (see our article on this), is well known and well documented. What isn’t so widely known is that at around the same time the French also made an attempt on Alderney. However one has to pity the poor old French for their timing for if only they’d tried this a few years earlier then all they would have been met with would have been the island’s ladies dressed in red petticoats and wearing rather stiff hats!. On this last point we will clearly need to elaborate. When the American War of Independence (1775-1783) broke out the Alderney Militia (such as it was) along with the defences of the island were in a pretty sorry state indeed. In addition to war with the Colonists England also found herself in conflict with both France and Spain, who were supporting the rebels. 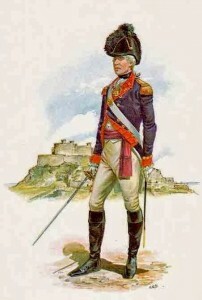 In 1777, Colonel Peter Le Mesurier, eldest son of the Governor – John Le Mesurier, was appointed to command and reform the Militia of the island. He found it in a lamentable state of disorganization “without arms, without officers and without laws”. 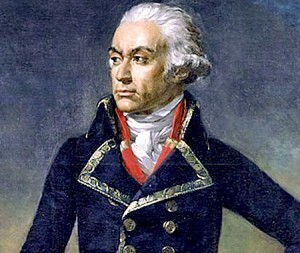 He therfore set about a major project to re-organise the force, get arms, ordinance and build up the island’s defences. Previous to the organization of the Militia, it seems that the defence of the island was largely entrusted to the abilities of the islanders to bluff their enemies into thinking that a strong force of red coats garrisoned the island. Whilst the men laboured at their usual jobs the women of the island were charged with keeping watch at the various beacon towers and watch-houses located around the island. At each sentinel point tar-barrels, heaped over with fern were placed and when an alarm was to be given they were to be fired as signals to the neighbouring islands. to have consisted of a scarlet cloth petticoat and jacket, a large ruff round their necks fastened under the chin by a black ribbon or gold hook, and a round linen cap stiffened so much as to be taken off and put on like a man’s hat. The new Colonel made representations to the Crown, through the Alderney Governor (his father), for assistance and as a result he received ‘200 stand of arms’. This, coupled with the States of the island enacting various laws to allow for the proper organisation and regulation of an efficient Militia, meant a new viable fighting force could start to be assembled. The Forts and Watch Houses were repaired and Colonel Le Mesurier took it upon himself to personally drill the Militia and to force the officers and men out of their lethargy. Within a very short space of time the Alderney Militia became an efficient fighting force, which was just as well because in the meantime the French were busy plotting. if only they’d tried this a few years earlier then all they would have been met by would have been the island’s ladies dressed in red petticoats and wearing rather stiff hats! With England almost continually at war over the past decades Alderney was strategically placed to take advantage of the plundering of French coastal trade. the Channel Islands exercised a “corsairage terrible” whenever there was a war, and had cost France 40 million livres and 2-3,000 sailors. Certainly the Le Mesuriers – and by dint the Alderney locals employed by them – were prospering. In 1779, the ship “Resolution”, belonging jointly to Henry & John (two more sons of the Governor), mounting 20 guns, and with a crew of 100, captured prizes worth £134,589 (worth about £17,000,000 today). Then after his brother’s death in 1779, and by 1782 John had 8 privateers, carrying from 4 to 20 guns, and in that year, brought in prize money of £212,381 (worth about £28,000,000 today). The Cherbourg Commandant, General Dumouriez, therefore put forward proposals to the French government to land 400 men on Alderney to “carry off the inhabitants, destroy the houses, and deprive the corsairs of this recourse”. Accordingly in the summer of 1780 or 1781, (historians are not sure of the exact dates), three French privateers, two brigs and one cutter, with 200 soldiers on board, were dispatched from Cherbourg at night under the command of Lieutenant Gauvain of the French Navy, to clean out this nest of privateers once and for all. The French force anchored within musket shot of the Guardhouse at Chateau à L’Etoc, and were attempting to land in Corblets Bay, when at about 2 a.m. in bright moonlight, they were seen by the 4 man Militia guard of John Ozard, Peter Gaudion, William Harris, and one other who immediately opened fire on them. Their training clearly paid off because their shots were so well directed that they killed and wounded several of the Frenchmen on board the Privateers. There was at that time in the Alderney Roads a large English Privateer, mounting 18 guns, commanded by a Captian Chandler who, hearing the report of the Militia’s muskets, instantly ‘beat to arms’ – that is ordered the crew to action stations via drum. In the stillness of the morning and the prevailing calm, the alarm carried across the island and was heard on board the French vessels, and, supposing that the whole Militia were under arms, as soon as daylight appeared, the privateers weighed anchor, and directed their course back towards Cherbourg. In the meantime, Captain Chandler got under sail and pursued them. He managed to catch them up so as to be able to give them several broadsides. However the start they had on him too great and they succeeded in reaching port before any real damage could be done. So the courage of four Alderney men it seems is enough to see off 200+ Frenchmen.